Sometimes the best charities really do begin at home. 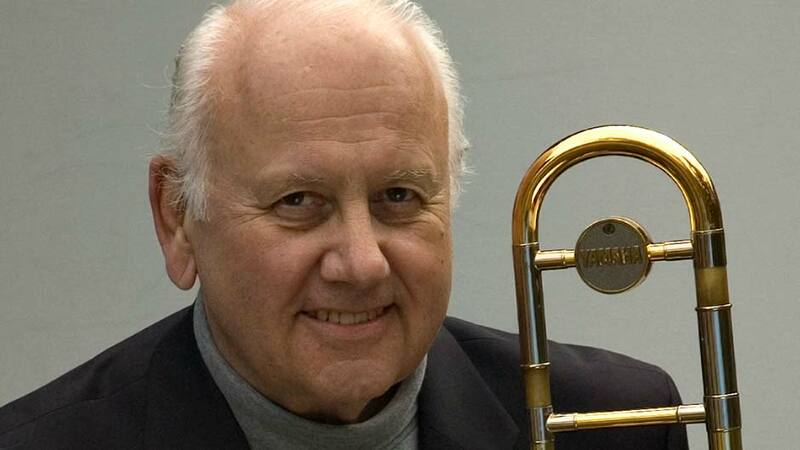 That’s certainly the case with acclaimed trombonist and former University of Victoria professor Ian McDougall’s CD, The Very Thought of You. 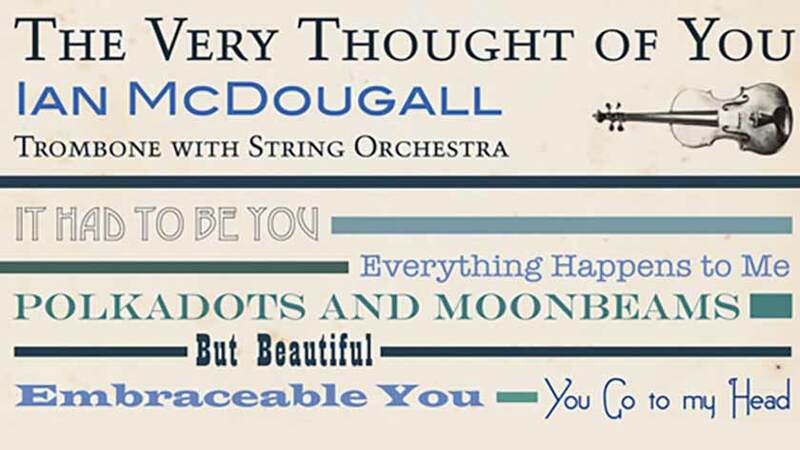 Conceived of as a benefit album for Fine Arts students in financial need, The Very Thought of You features 14 beautiful ballads from the ’30s and ’40s with McDougall on his signature trombone, backed by a string orchestra—but the best part is that $10 from each $20 CD goes directly to the 10 Mile Student Assistance Fund, a new emergency fund created by him to benefit Fine Arts students in financial need. The Ten Mile Student Assistance Fund is so named because of the generous support of donors to the Ten Mile Limited Partnership—a dedicated team of alumni and supporters, headed by active UVic alumni Jim Crawford (former president of the Victoria Jazz Society), Tony Gage and McDougall himself. More popularly nicknamed the “one potato” fund, the idea of creating a means to help out needy students came to McDougall a number of years ago, after he saw a student buying a meal for the night at a local grocery store: a single potato. An Order of Canada recipient, Juno Award winner, former chair of the Department of Theatre and School of Music Professor Emeritus who taught at UVic for 15 years, Ian McDougall is one of Canada’s best know, and best loved, jazz artists. But he also had a very personal reason for creating the 10 Mile Student Assistance Fund. The Very Thought of You is available in downtown Victoria at Munro’s Books on Government Street, Lyle’s Place on Yates Street and Larsen Music on Cook Street. Online, you can find it at CD Baby or through McDougall’s own website. You can listen to a sample track by clicking here.